Ruud Gullit knows better than anyone else that to understand soccer you have to understand strategy. When he started playing soccer, his only 'strategy' was to get the ball, outrun everyone else to the other end of the field, and score. At first it served him well, but as he advanced through the sport, he learned that it takes much more than speed to make a winning team. He worked his way from the Dutch junior leagues all the way to the legendary AC Milan, eventually retiring from the field to be a trainer, then a manager, and finally a commentator. Each step came with its own lessons, and its own unique perspective on the game. Having looked at soccer through just about every lens possible, Gullit is now sharing his own perspective. 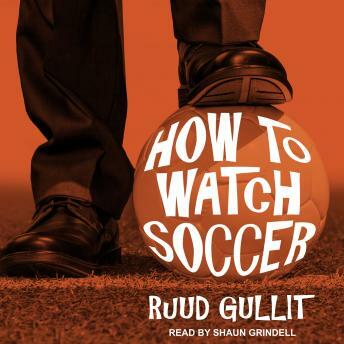 Most spectators simply watch the ball, but in How to Watch Soccer, Gullit explains how to watch the whole game. He shows how every part of a match, from formations to corner kicks, all the way down to what the players do to influence the referees, is important. This exhaustive guide will change the way even the most die-hard fan watches the beautiful game.